"In 66 seconds, Roberto Durán changed my life." Yet another boxing movie, there's at least a couple every year. The Weinstein Company has debuted the first teaser trailer for Hands of Stone, a film about the true story of legendary professional boxer Roberto Durán, played by Edgar Ramirez. Hailing from Panama, Durán fought during the 80s and is considered one of the greatest boxers of all-time, earning the nickname "Hands of Stone" during his career. The cast of the film includes Robert De Niro as trainer Ray Arcel, plus Usher Raymond IV, Ana de Armas, Ellen Barkin, and John Turturro. This teaser trailer doesn't show too much, but it looks solid. I'm particularly excited to see Edgar Ramirez in action, he's very talented. Follows the life of Roberto Durán (Edgar Ramirez), the Panamanian fighter who made his professional debut in 1968 as a 16 year‐old and retired in 2002 at the age of 50. In June 1980, he defeated Sugar Ray Leonard (Usher Raymond) to capture the WBC welterweight title, but shocked the boxing world by returning to his corner in their November rematch, famously saying the words "no mas" (no more.) 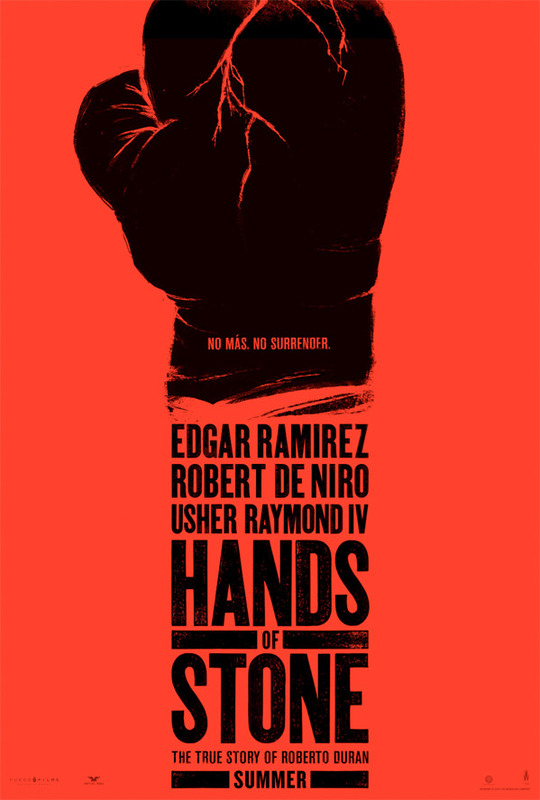 Hands of Stone (also known as Manos de Piedra) is both written and directed by Venezuelan filmmaker Jonathan Jakubowicz, of Secuestro express previously. This hasn't shown at any film festivals yet. The Weinstein Company will release Jakubowicz's Hands of Stone in theaters starting August 26th this year. Thoughts? One of the better fights in boxing history.